Elegance is an art form. To be truly elegant, a man must feel comfortable and confident in his clothing. The selections from Roger La Viale’s iconic ranges ensure a man’s custom wardrobe rises to any occasion. Across two generations, Roger La Viale delivered nothing short of brilliance in terms of sourcing the finest products. The brand is a known fabric innovator that continues to bring new developments to the market. With offices and design teams across three continents, we have been servicing the tailored clothing trade for the past nine decades supplying finest fabrics from Asia and Europe. The design team is highly respected for its creative, stylish patterns that are easy to wear and belong in every man’s wardrobe. 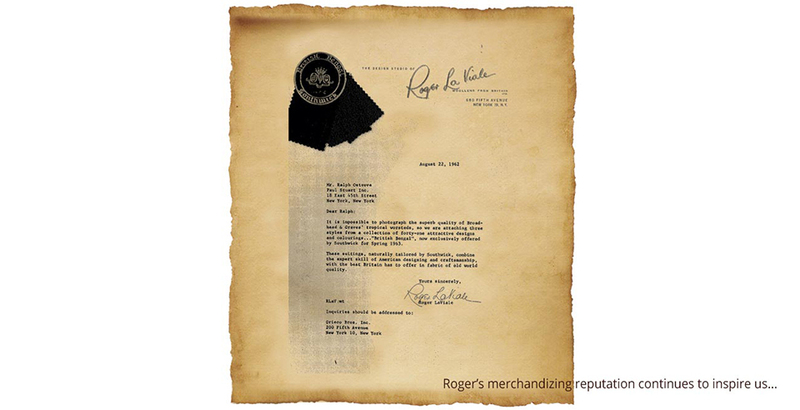 It is this legacy of merchandizing that continues to inspire the current team at Roger La Viale. 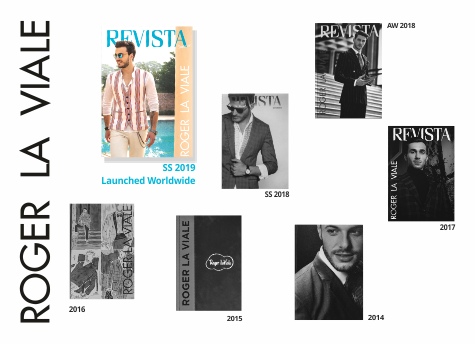 We are excited to share the worldwide launch of our Spring-Summer 2019 trend book - Revista. It has been our endeavour to capture the trends of these times with this edition of the Revista. We strive to place the very best fabric in your hands. It is your astute judgement and taste that bridges the journey for the gentleman from sheep to suit. This book is one more attempt to be useful to you in that journey.